Cupcakes 'n Daisies: Poppie Update . . . .
Poppie Update . . . .
and how I determined that that particular technique was not for me. I asked for suggestions for turning this mess into a masterpiece. Overwhelmingly, the response was "Go with a pinwheel pattern!". 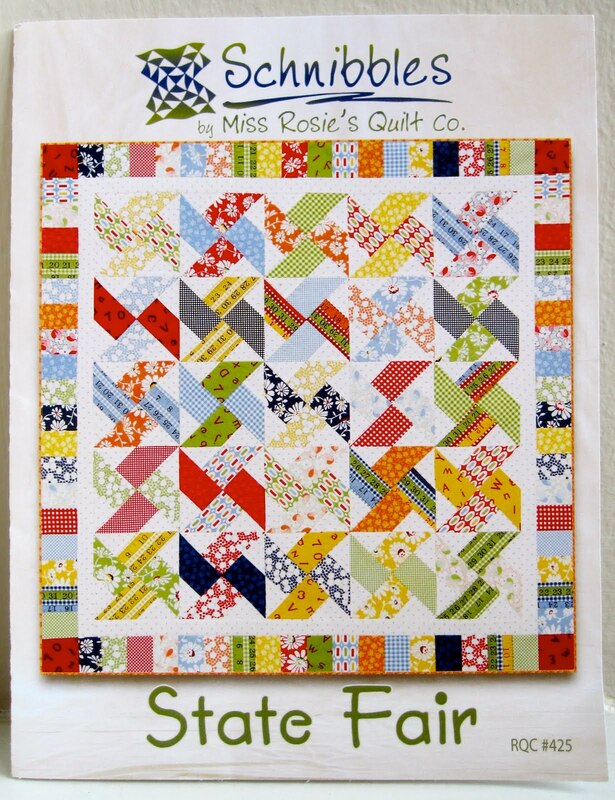 I loved the idea, love a good pinwheel block, and have yet to make an entire quilt from pinwheels. I thought my poppy fabric would be a good match for State Fair. But between A la Mode taking longer, and the month of June just racing by, I did not get the chance to start on State Fair. I think this is a better fit for my long abandoned poppy fabric. 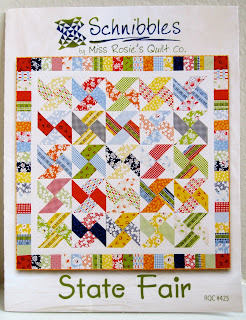 There's a little more going on with the pinwheel, plus I love the border! 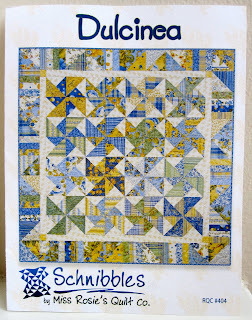 The Dulcinea pinwheel block finishes at 6 inches, I'm thinking I may make mine a little larger...shocking I know! But I can easily make a 9 inch finished block from the pieces I've already cut. I'm not sure when this project will make it's way to the top of my To Do list, but it feels great to finally have a plan! So thanks for your help! If you've not done so, don't forget to leave a cupcake comment on my Sunday post, the deadline for entering to win the Fons & Porter Watermelon and Shoofly kit is Saturday. I just know this will be a beauty, Thelma. Those poppies will make it sing! I think it's a perfect plan. Enjoy! 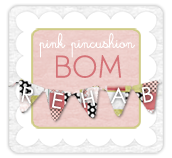 Good for you for not abandoning the project and figuring out a new plan! Awesome fabric! What a fun quilt...I can't wait see the project. 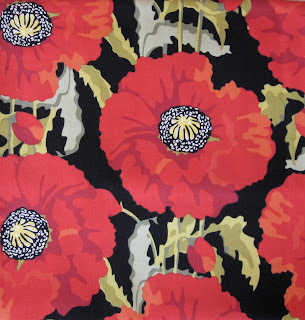 I love the Poppy fabrics and you are right... Dulinea is an even better match! I didn't have a chance to even buy State Fair! I really loved that pattern the resulting quilts were just gorgeous! 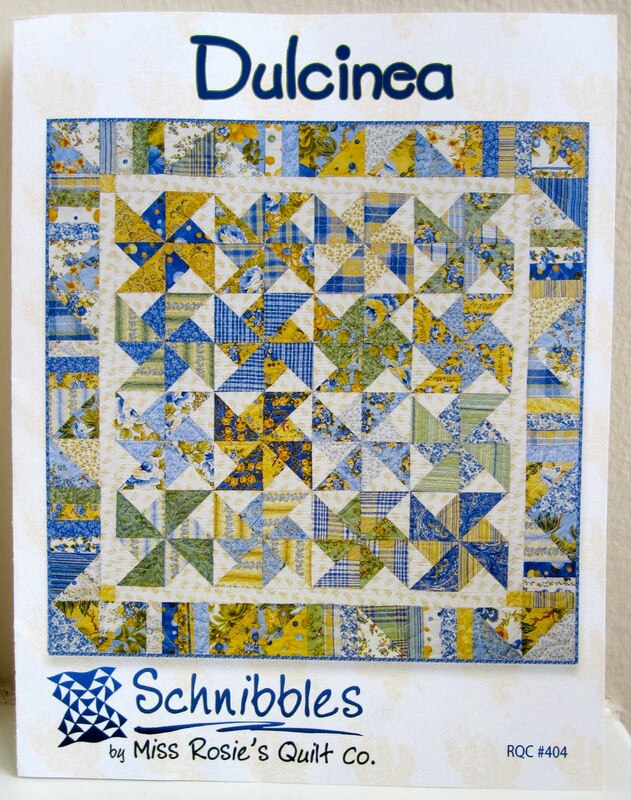 I have let my Schnibbles fall on the weiside like all my quilting this summer, but I will say that Dulcinea definitely has more substance to it. 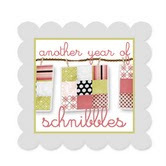 It has the pinwheel more defined and the border has alot more going on. I like it. I loved those colors the first time you posted about them and I am happy to see you're all fixed up with a plan to use them. Vacation - Seattle Leg . . . . .
First Cupcake Review - Kara's Cupcakes . . . .
Fun in the Summertime . . . . . . . .
Hexies a Go Go . . . . Happy Birthday . . . . . I'm Hot, for Dots . . . .
Just Another . . . . .
A Visit With Old Friends . . . . .
July with Jo and Cindy Lou . . . . . .